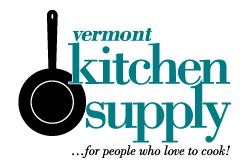 Click the button below to add the Vermont Cook Stick to your wish list. Vermonter, woodworker and friend, Richard Farley has always made beautiful wooden spoons. One day, his wife Dale was using a broken spoon and he offered to make her a new one. But she declined because she liked the way the broken one fit in the corners of the pan and how it scraped up all the lovely bits on the bottom of the pan. I saw Dale using it and wanted one of my own!! So, Richard made me my very own "cook stick". It quickly became my favorite and I begged him to make them in quantity so I could sell them in my shop. He did and we do! !